Using the distortion of objects, Robert Lazzarini creates works that stimulate new ways of seeing. 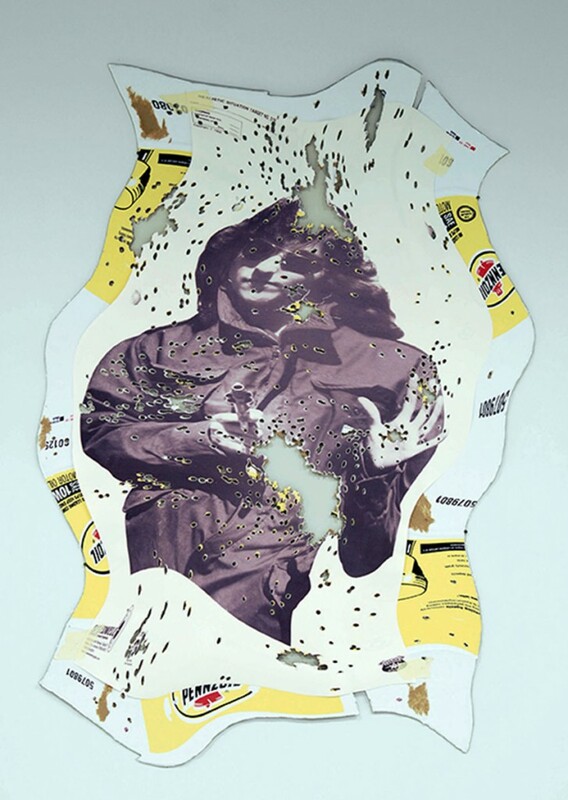 His flattening, stretching and twisting of items such as violins, cigarette packets and skulls, leaves the final work resembling a phenomenon of the ‘third space:’ an ambiguous point halfway between computer-based manipulation and physical deformation. His distortions deny optical reality as we know it, suggesting instead a world that is defined by false representation. Lazzarini’s sculptures are highly detailed, and he uses complex algorithm-based operations to distort his objects. 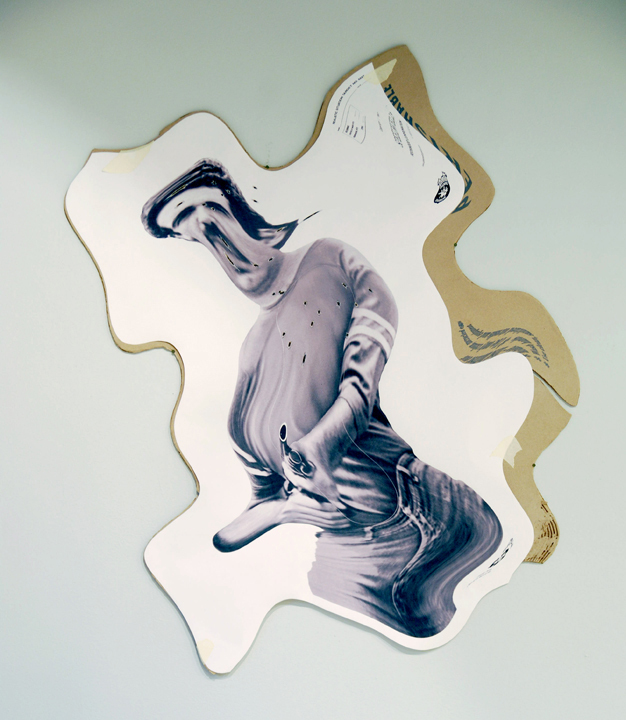 The effect of this is to disrupt the viewer’s ordinary process of recognition. 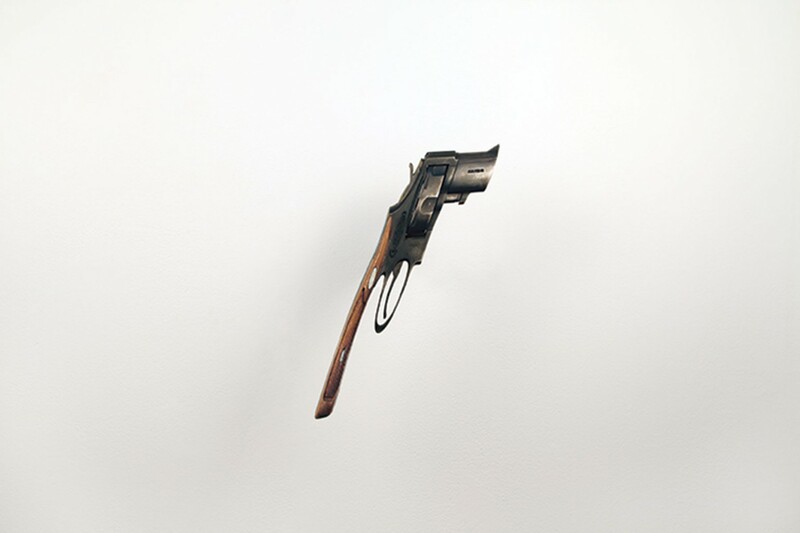 Lazzarini chooses materials and subjects that have an immediate and powerful impact by questioning their associations and purposefully disregarding objects whose significance has been “mediated by time.” During a lecture at Columbia University in 2010, he explains that had he chosen broken glass or a vial of poison as his “normative object” for his Guns, Knives and Brass Knuckles exhibition (Los Angeles, 2010), the effect would have been less impactful, as their meaning is not immediately relevant to modern reality. 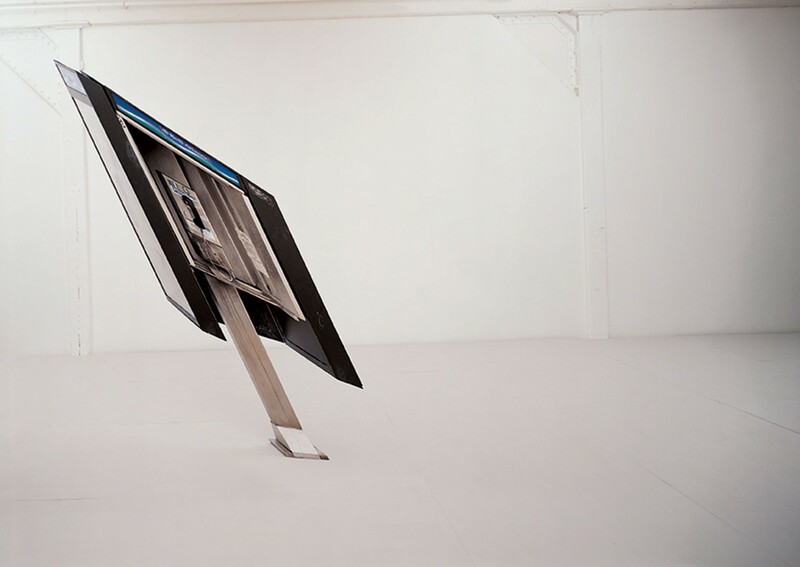 Instead Lazzarini chooses to distort objects whose power is a presence today. 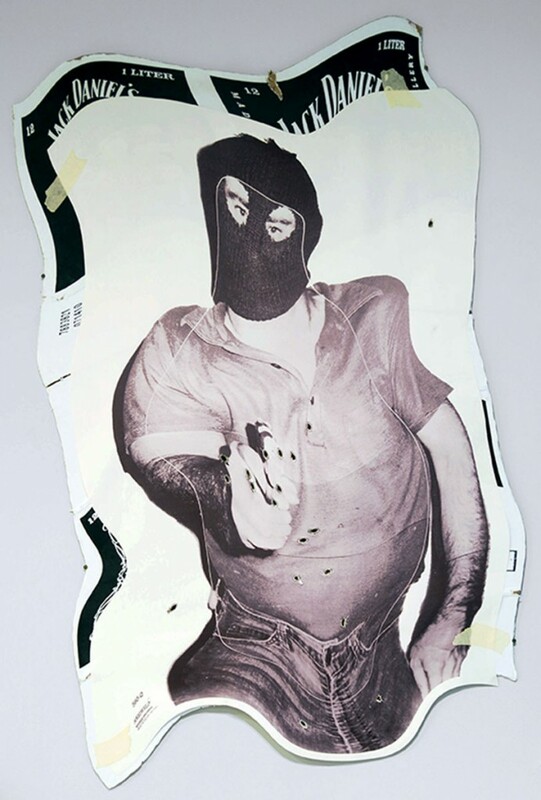 These emblems of violence are examined further in the Target series. 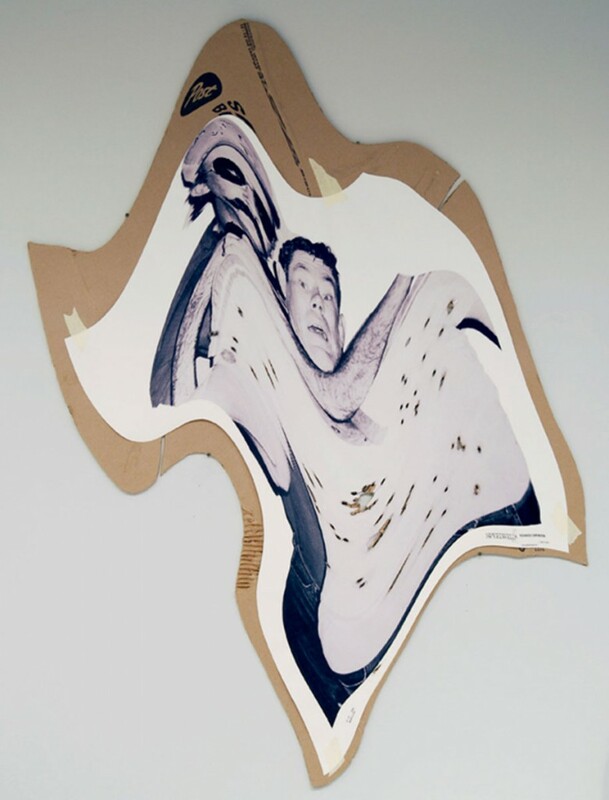 A fantastical hall of mirrors, Target comprises of a selection of distorted shooting targets which have been shot with various caliber firearms and then mounted on cardboard boxes and pieces of styrofoam. 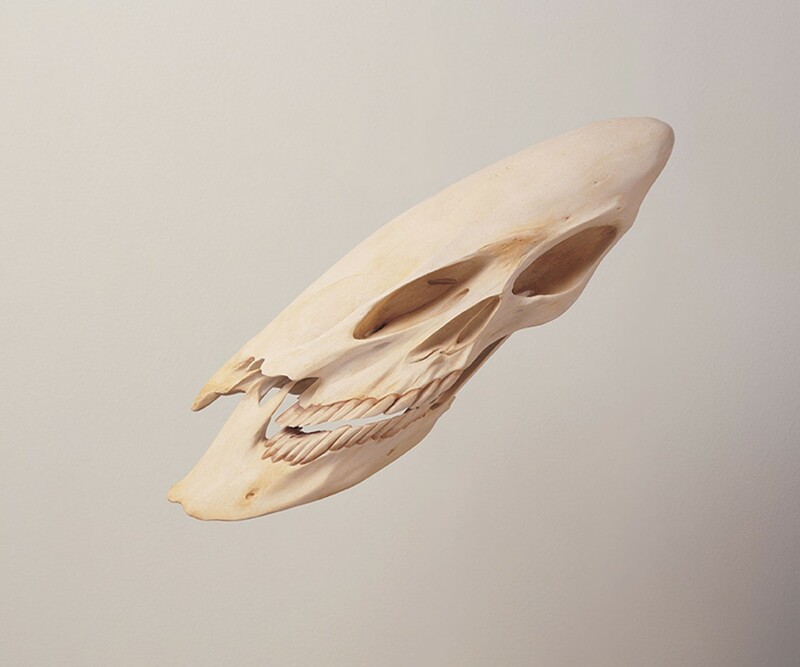 Both the target photograph and its mount are distorted in harmony with one another; a snapshot of halted time, quivering in the heat of an adrenaline rush. Robert Lazzarini (b.1965) received his BFA from the School of Visual Arts in New York. His work has been exhibited both nationally and internationally in venues such as the Whitney Museum of American Art, the Virginia Museum of Fine Arts, the Wadsworth Atheneum and the Kunsthalle Berne. Permanent collections holding his work include the Hirshhorn Museum and Sculpture Garden, Washington, DC, the Milwaukee Art Museum, the Toledo Museum of Art, Ohio and the Whitney Museum of American Art, New York. He lives and works in New York.